Next month in New Mexico: My chamber opera Mabel’s Call will be given a staged workshop production, featuring the full 85-minute score with six principals, chorus, and chamber ensemble! 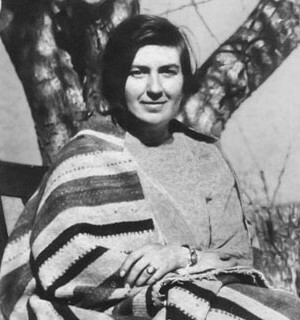 The accomplished faculty directors and student performers of the University of New Mexico Opera Theatre have spent the semester taking a deep dive into this opera and its historical inspiration: Mabel Dodge Luhan—the influential salon hostess, philanthropist, writer, and international icon of the avant-garde—and Taos, New Mexico in the 1910s and ’20s. I’m incredibly honored by this collaboration and the invitation to work with the university as an artist in residence. After months of emails and video conferences, I arrive in Albuquerque next week to join rehearsals as the team prepares for their performances in UNM’s beautiful Keller Hall on November 2, 3, and 4. Mabel’s Call has been developed over the past three years through workshops with American Opera Projects, Fort Worth Opera, and The Harwood Museum of Art, and two artist residencies at The Helene Wurlitzer Foundation of New Mexico. Synopsis and recordings at mabelscall.com. Tickets available at the door or at unmtickets.com ($12, $10, $8).